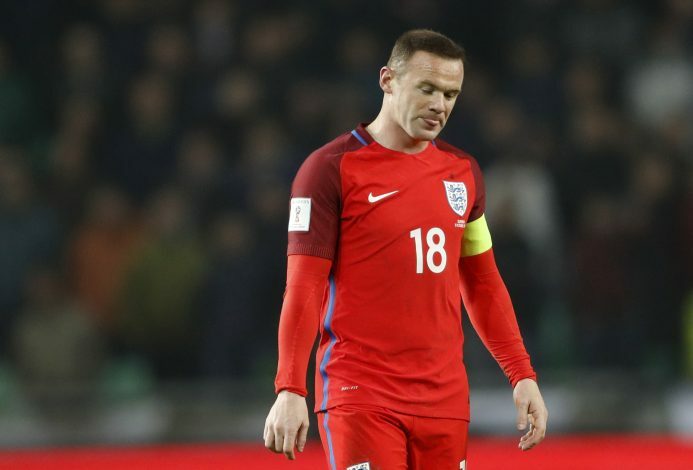 Wayne Rooney’s days of leading the Three-Lions is about to cut short as England manager Gareth Southgate is set to make some significant changes. If the report from Daily Mirror is the be believed, then Tottenham striker Harry Kane will be given the nod to lead the team from next year’s World Cup in Russia. It is all but certain that Rooney is past his prime and has become an error-prone player. It’s not just the national duty, but the 31-year-old is also expected to leave the Old Trafford premises as his participation on the field has been very limited. And now Southgate believes that Harry Kane – who is currently recovering from an ankle ligament injury – has all the quality to become a leader. “Harry has definite leadership qualities. He’s a very determined, single-minded individual, completely dedicated to improving and he’s having another outstanding season. “But it looks good for him. And for Tottenham and England. He’s vocal and Harry’s got an opinion, yeah. He’s always happy to speak up in front of the group. As are several others. “I think I always encourage that amongst players. I think I want to know what they’re thinking. I want to encourage that. Southgate further added that Liverpool midfielder Adan Lallana, Manchester United defender Chris Smalling and Manchester City’s Raheem Sterling have the quality to wear the national armband. “Adam Lallana has definitely impressed me as an individual too. Chris Smalling is captaining Manchester United at the moment but there are other players that talk up well in meetings.